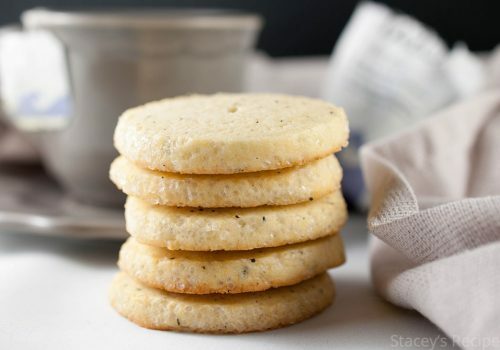 I’ve been wanting to make these cookies for a few weeks now, but couldn’t find any cake flour – you can find it at the bulk stores or specialty baking shops incase you’re wondering. These are so good. They have just the right amount of zest and tang from the lemon and a little from the blueberries. My boyfriend is quite the cookie monster, and they went over quite well with him. 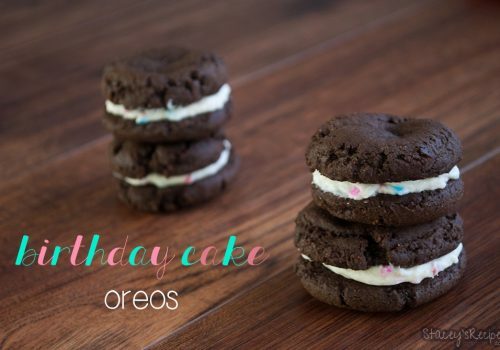 I like that the cake flour gives the cookies a little bit of a lighter texture, not too dense and heavy. 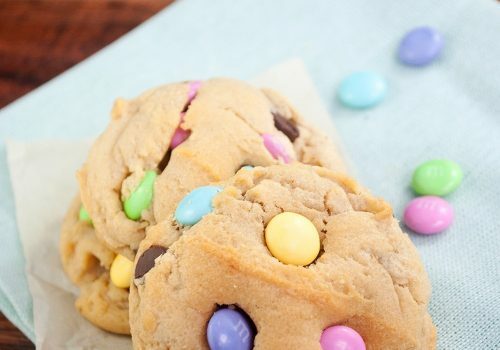 These are a must try – especially now that spring is right around the corner! Enjoy! 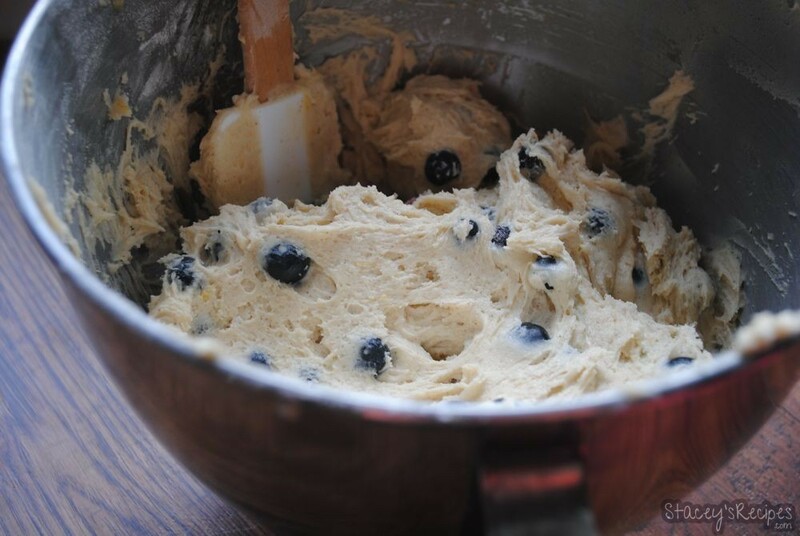 In your stand mixer, fitted with the paddle attachment, beat the butter and sugar until light and fluffy. Add eggs, beating after each addiction. Add the vanilla, lemon zest and lemon juice - beat until well combined. With your mixer on low speed, slowly add the dry ingredients to the wet ingredients - scraping down the sides as needed. 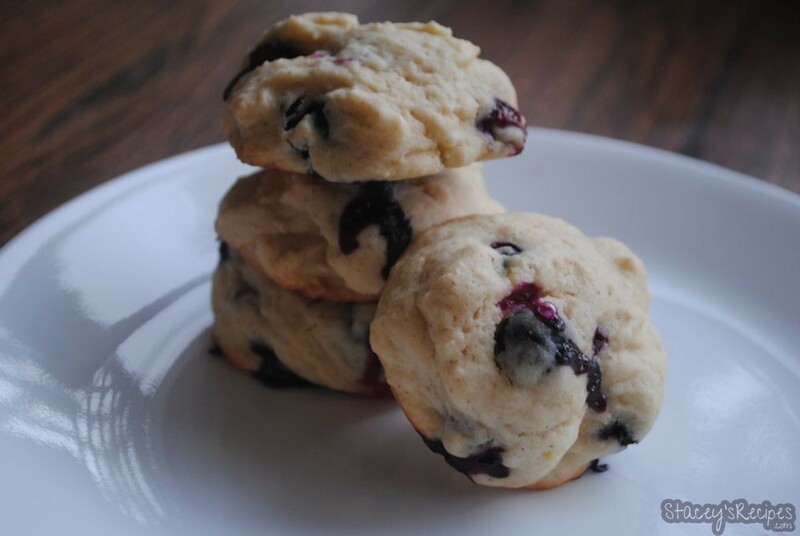 Fold in your blueberries - I used fresh blueberrys, but you can use frozen too, just make sure they are thawed and patted dry - be sure not to break them while folding them into the batter. Cover your bowl with plastic wrap and let cool in fridge for at least an hour - this step is mandatory. 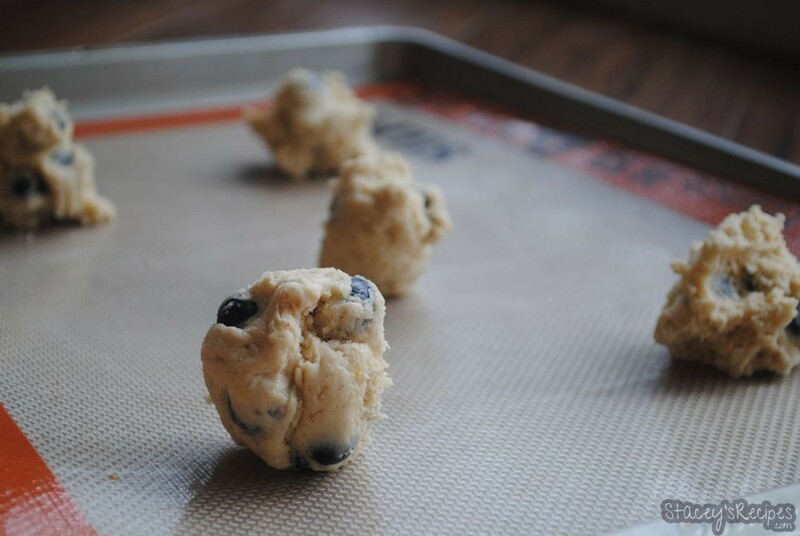 Using a small scoop - about 1 tablespoon - place rounded mounds of dough onto your baking sheet lined with your silpat. Bake for 11-14 minutes until the bottoms are slightly golden - mine took 11 minutes, so make sure to check! 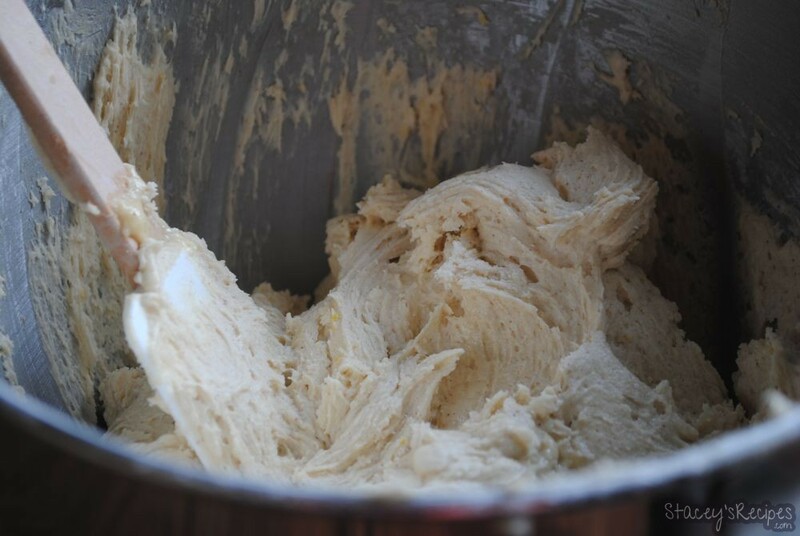 Place dough back into the fridge when working in batches or it gets too sticky. *Can you substitute all-purpose flour for cake flour? 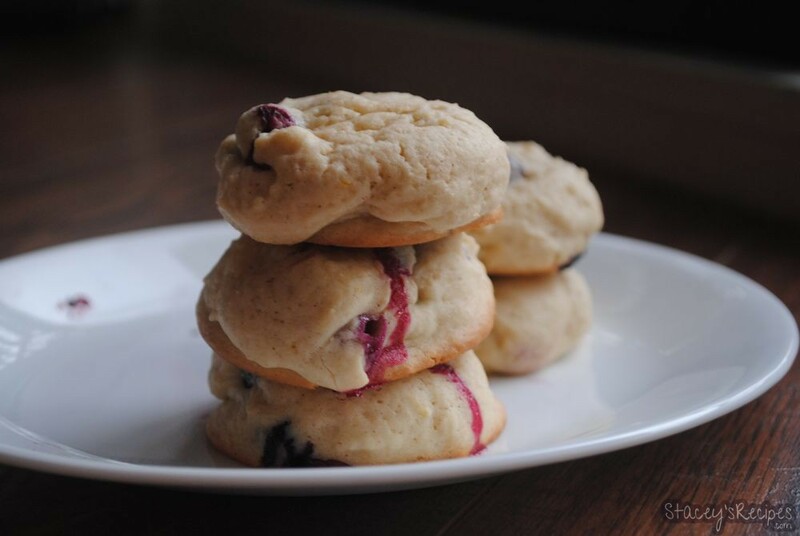 Cake flour has a lower gluten content than all-purpose flour and therefore creates a lighter and fluffier cookie. 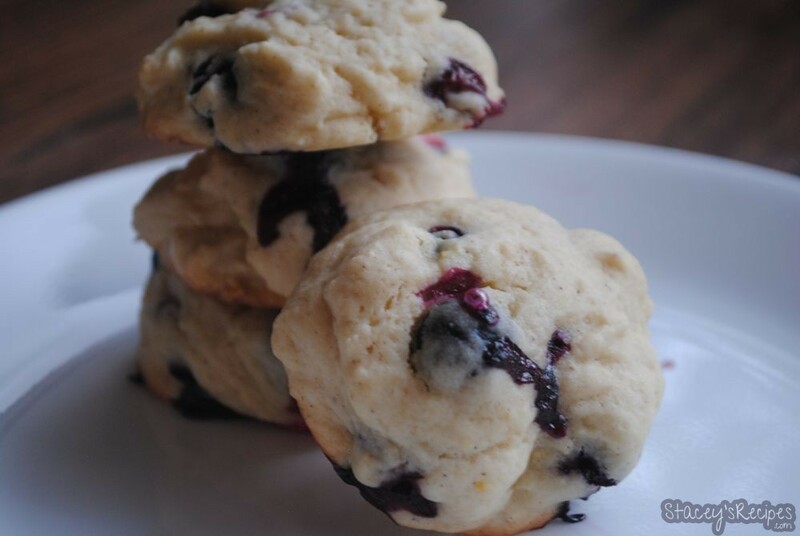 If you use all-purpose flour use 1 cup minus 2 tbsp for 1 cup of cake flour.